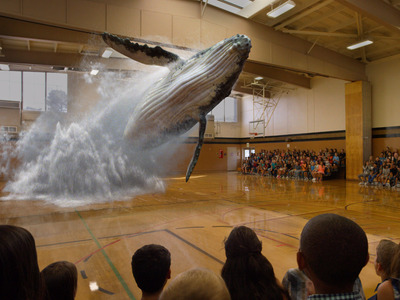 Magic Leap CEO Rony Abovitz announced Thursday at the Business Wired Conference that the secretive company will begin production of its “mixed reality headset” this summer. Abovitz also announced that it has been working with LucasFilm and ILMxLab and that the three partners will soon be launching a lab in San Francisco where they will develop immersive entertianment experiences together. The company published a video on Thursday of a Star Wars experience it created with its partners which shows how the Magic Leap experience might look. The video, which was shot with Magic Leap’s hardware, features C3PO and R2D2 in a normal looking office talking and moving around. But the characters don’t look like holograms, they look incredibly real. Check out the video below to see Magic Leap’s experience for yourself.